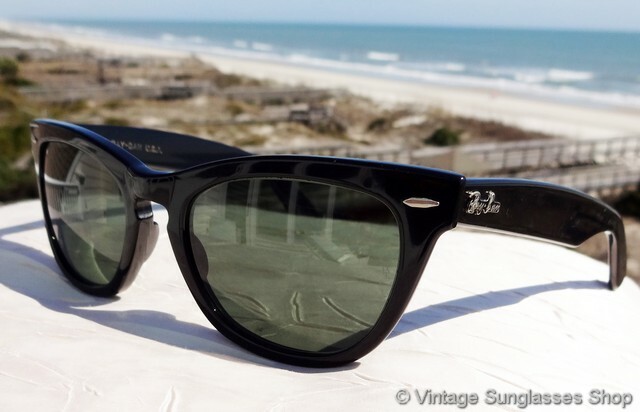 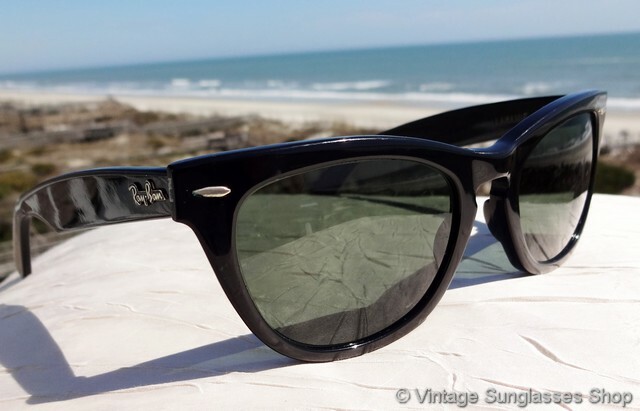 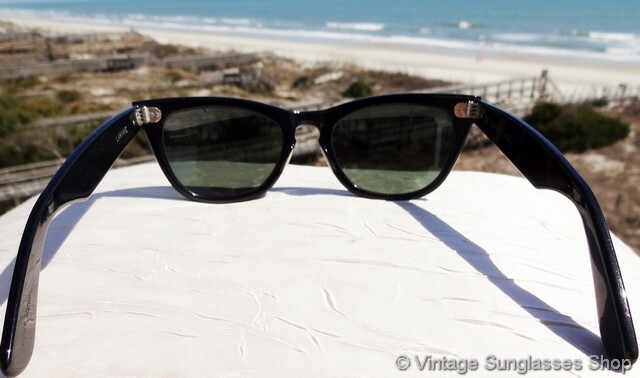 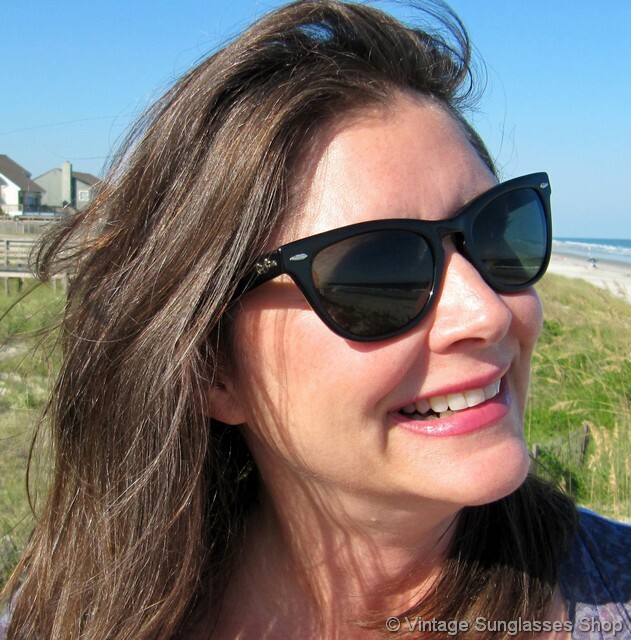 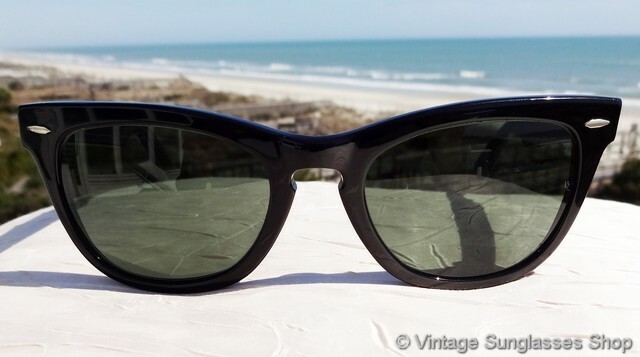 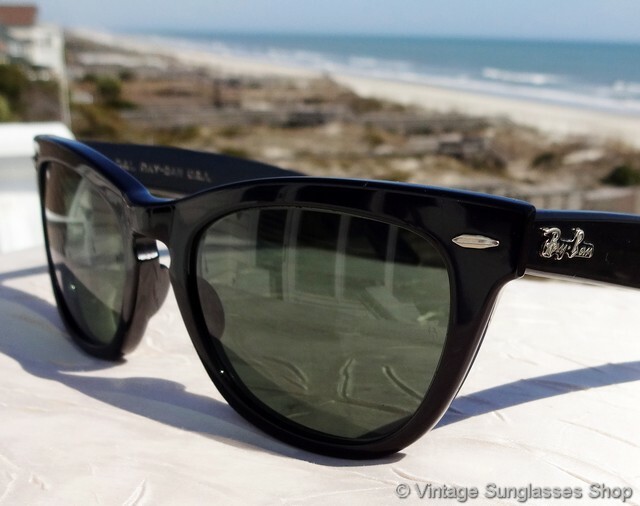 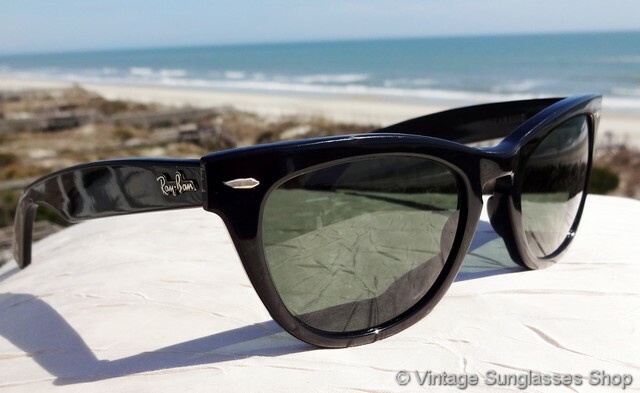 1 Vintage B&L Ray-Ban W0904 Wayfarer Laramie sunglasses are a variation of classic black ebony Wayfarers with a slightly more rounded look to the front frame but retaining the traditional Ray-Ban Wayfarer ear stems. 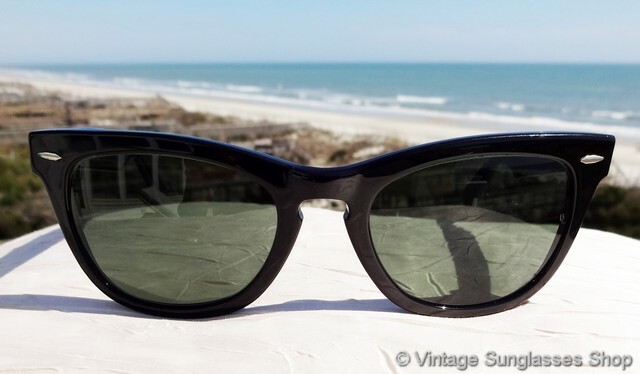 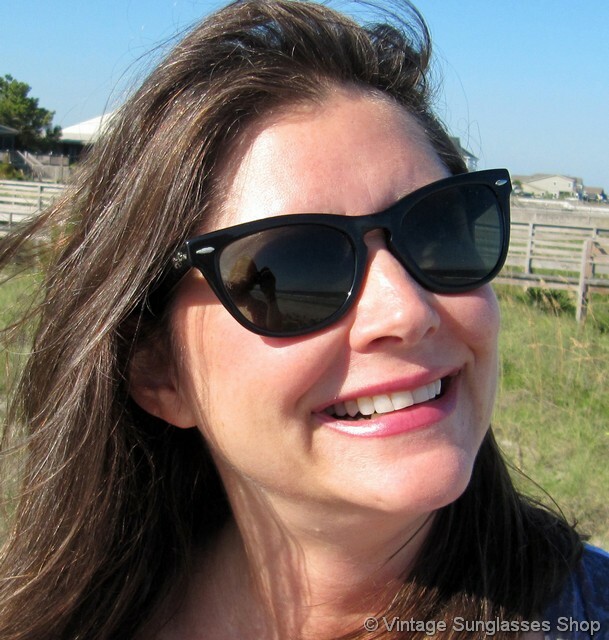 You'll notice a little more curve and contour in the shape of the front frame in the vintage Wayfarer Laramie, and we think it softens the look a bit and makes them more wearable for a variety of men's and women's face sizes and shapes. 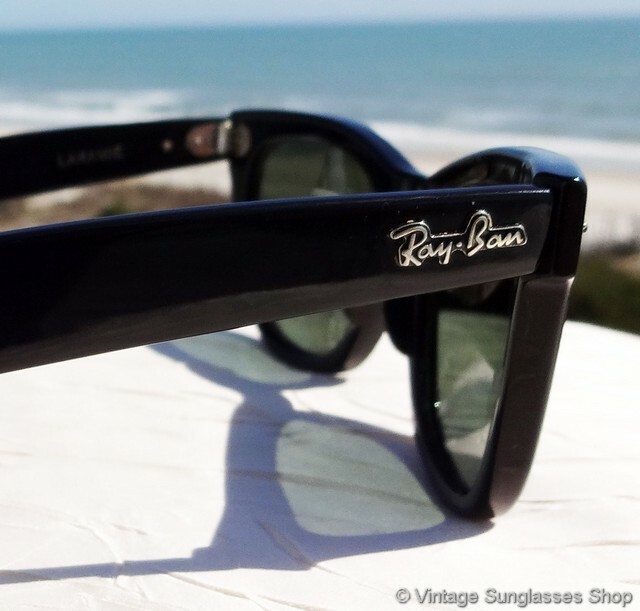 The Wayfarer ear stems can't be missed however, and it gives the sunglasses a streamlined look when viewed from the sides. 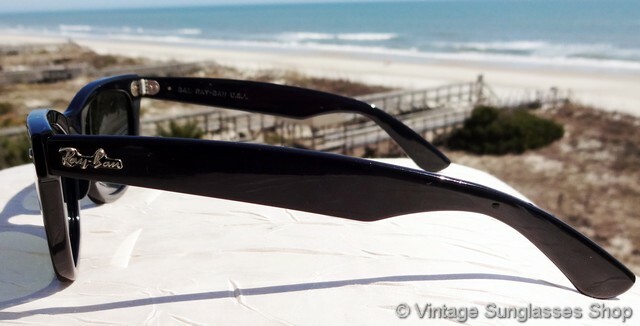 The black ebony Wayfarer frame measures approximately 5.5" temple to temple with lenses measuring approximately 2.0" x 1.657" at the widest points. 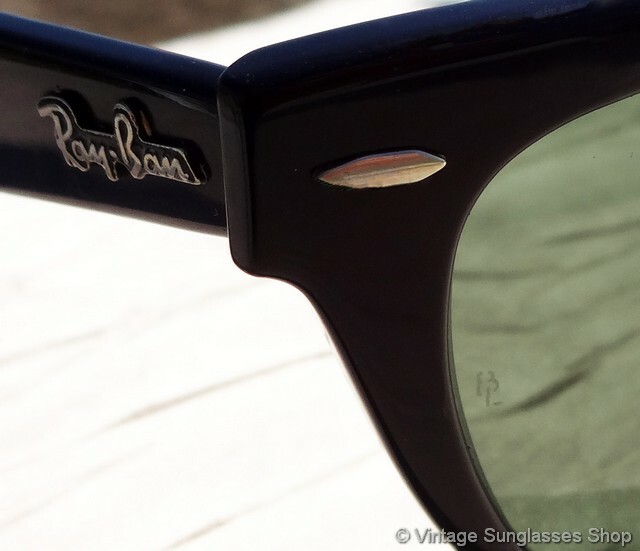 The Ray-Ban logo is in raised metal relief on the exterior of both ear stems, and the inside of one stem is marked B&L Ray-Ban USA while the inside of the other stem is marked Laramie along with the model # W0904 WWAR all impressed in the frame. 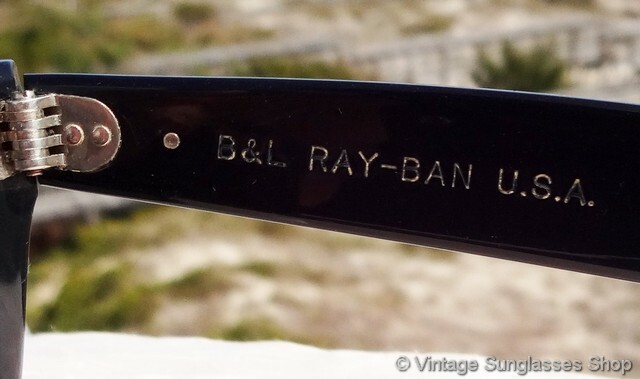 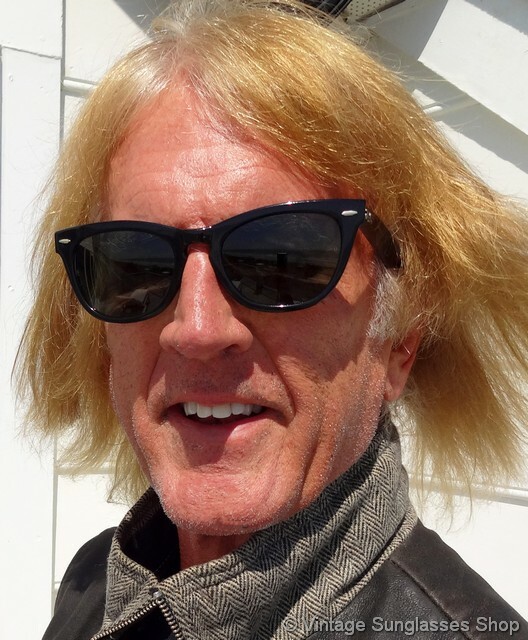 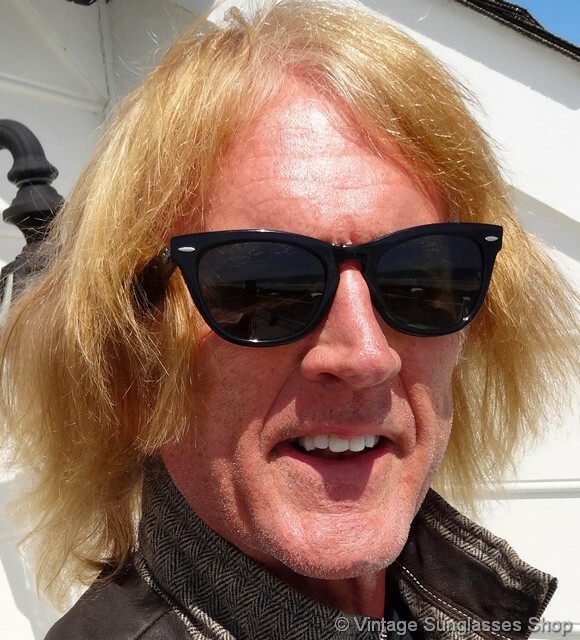 The Bausch & Lomb G-15 lenses are laser etched BL and look great in the black Wayfarer Laramie frame made in the USA, part of the collection of a well known music industry figure and customer of the Vintage Sunglasses Shop. 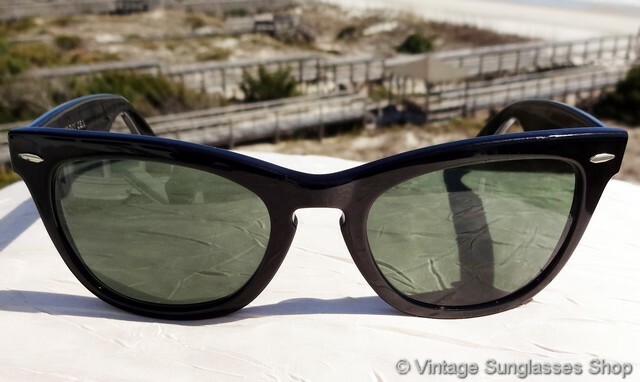 2 Step up another level beyond our already unequaled vintage condition standards with new old stock B&L Ray-Ban W0904 Wayfarer Laramie sunglasses in mint, unworn condition.